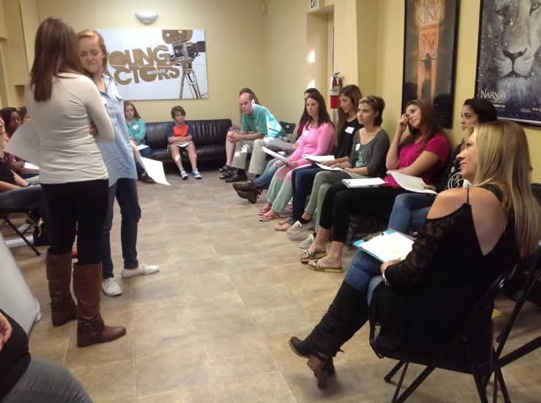 The favorite acting studio of agents, managers, directors, producers and casting directors. 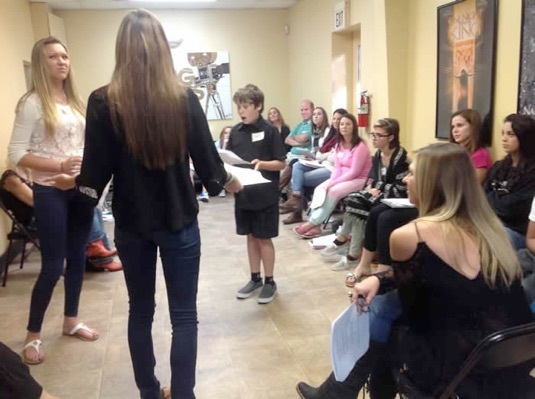 Pop Shop Acting Seminar in Orlando Overwhelmingly Popular! Karen watches Jaimie Steck, Abigail Knowles, and Evan Huit perform a scene in the teen and adult seminar. Katie Gallagher and Katelyn Bailey captivate everyone’s attention in the teen and adult seminar. area see the Seminar Page for all the details. Wherever in the world you are located prepare for any audition by Private Coaching with Karen using Skype. Actors in Florida, Nevada, Illinois, Tennessee, Arizona, and California are already taking advantage of this. are working in LA, NY, and throughout the U.S.
Hello Dolly starring Bette Midler. 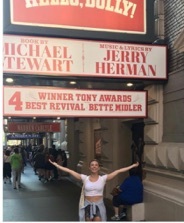 This is Sarah’s second Broadway show.